You probably don’t know the name Benson Leung. He’s one of the internet’s unsung heroes, and in recent months, he’s been quietly waging a one-man war against manufacturers producing faulty USB-C chargers. Many users have reported having their smartphones fried by the faulty cables, which did not properly regulate the amount of current flowing through them. Ever since this happened to Leung, he’s been buying and testing every brand of cable from every manufacturer, and writing reviews, either recommending them, or warning customers away when he finds one that’s faulty. Now though, it appears that Leung has some help. He’s no longer alone, and help has come in the form of the USB Implementers Forum (USB-IF) has announced the creation of a new logo and compliance program that should do a great deal to help preventing such things from happening in the future. When USB-C cables first hit the market, they created quite a stir. Here, finally, was a new standard that the industry could rally around. 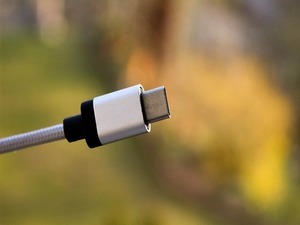 The USB-C’s connecting head was specifically designed to fit the tiny ports on smartphones, but the power transfer was designed to be bi-directional. In other words, it could both send and receive power. Even better, data transfers are faster, and the new cables can handle up to 100 watts of power, whereas previous cables were limited to just a few watts. There lay the problem, however. Since there were no standards in place when the cables were first rolled out, many manufacturers cut corners, producing cables that didn’t properly regulate the flow of electricity through them. The end result being that when you plugged one into your smartphone, it was rather akin to playing Russian Roulette. Maybe it would charge your phone, or maybe it would send more juice through the cable than the phone could handle, and turn it into a very expensive paperweight. Kudos to Benson Leung, and to the USB-IF for taking steps to remedy this issue.